ALL GROWKITS ARE MADE TO ORDER, TIME OF SHIPMENT ± 2 WEEKS AFTER ORDERING. Payment options & shipping rates see info page. Kit contents including casing: 2000 cc – Substrate net weight: 700 grams – Directive yield: 200 grams in 2-4 flushes. 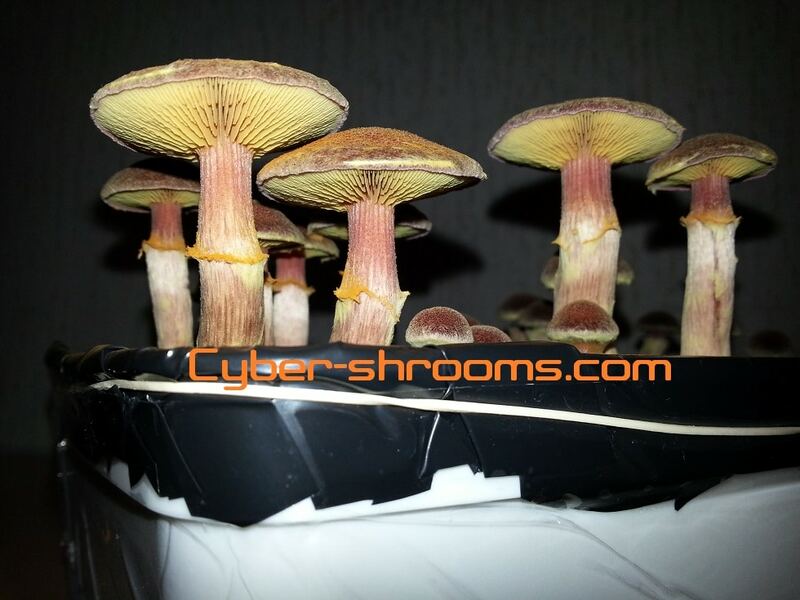 Gymnopilus luteofolius, also known as yellow-gilled gymnopilus is a large and widely distributed mushroom that grows in dense clusters on dead hardwoods and conifers. It grows in late July to November in the east and in the winter on the west coast of North America. It has a rusty orange spore print and a bitter taste. 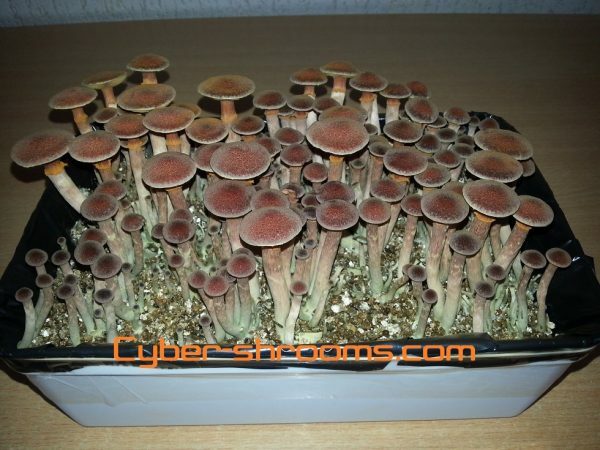 It contains the entheogenic substance psilocybin. Gymnopilus luteofolius was first described as Agaricus luteofolius by Charles Horton Peck in 1875. It was renamed Pholiota luteofolius by Pier Andrea Saccardo in 1887, and was given its current name by mycologist Rolf Singer in 1951. The fruit bodies of Gymnopilus luteofolius have reddish to purplish to yellow caps 2 to 8 cm (0.8 to 3.1 in) in diameter, which often develop green stains. This cap surface is covered with fasciculate scales that start out purplish, soon fade to brick red, and finally fades to yellow as the mushroom matures. 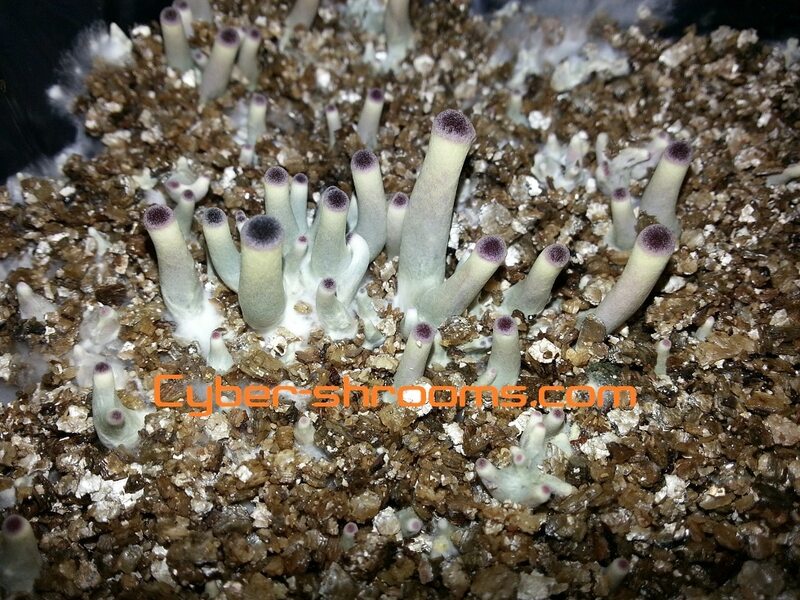 The context is reddish to light lavender, fading to yellowish as the mushroom matures. The gills have adnate attachment and start off yellow, turning rusty brown as the spores mature. The stipe is the same color as the cap, often dusted with rusty brown spores, fibrillose, measuring 3–9 by 3–10 mm thick, equal to enlarged near the base. The stipe often has greenish stains near the base. The taste is bitter. 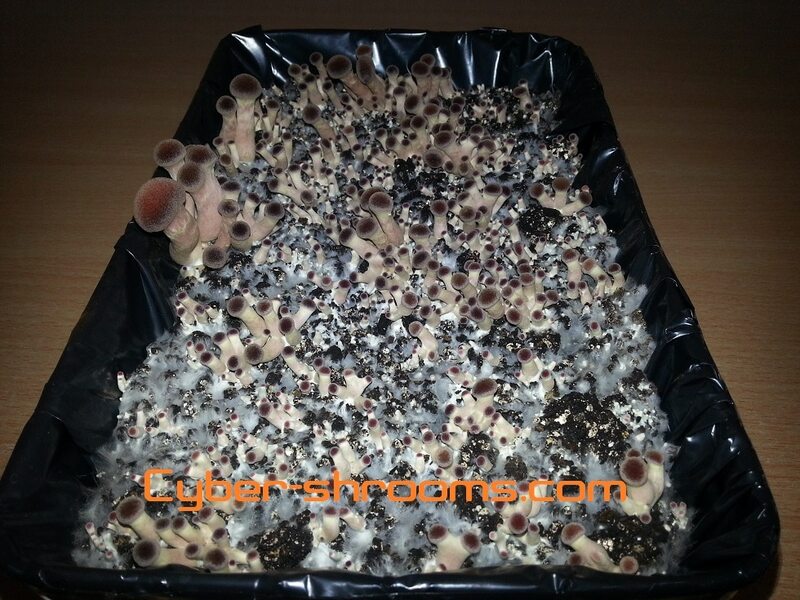 Instructions in brief; Shake / mix the substrate in the myceliumbag after arrival once. 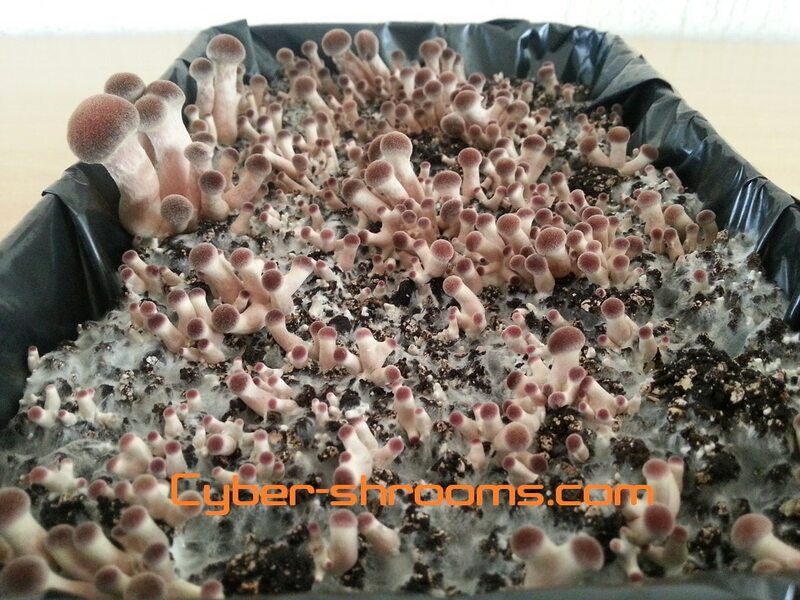 Put the bag in the black grow tray and let it stand to colonise completely. 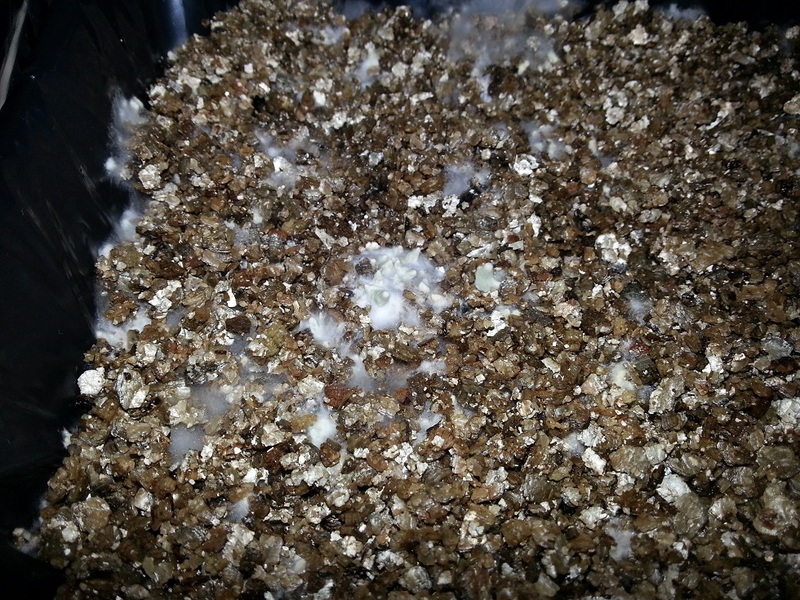 After the substrate is completely colonized cut the bag open above the substrate and pour the casing over it. The casing you simply prepare yourself with vermiculite and water in the microwave. After applying the casing put the kit in the supplied grow bag. 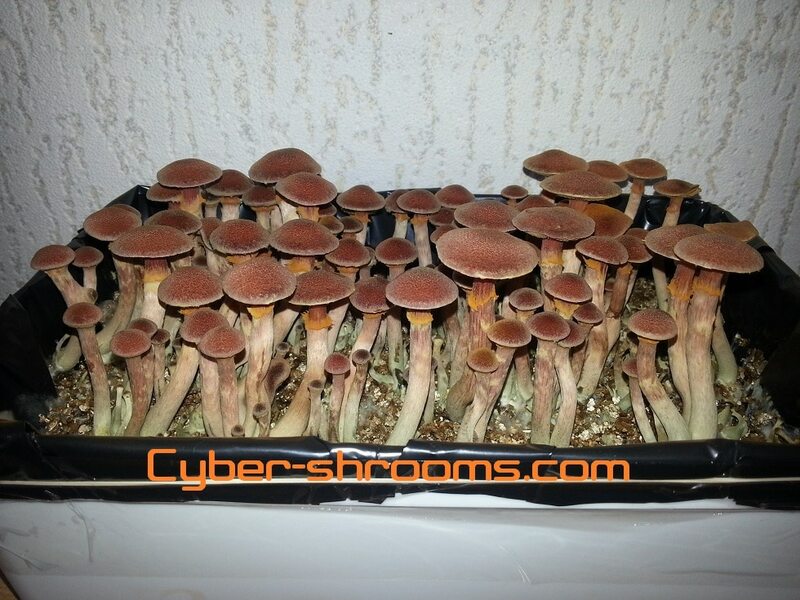 Comience a cultivar Gymnopilus luteofolius con nuestros kits de cultivo únicos. 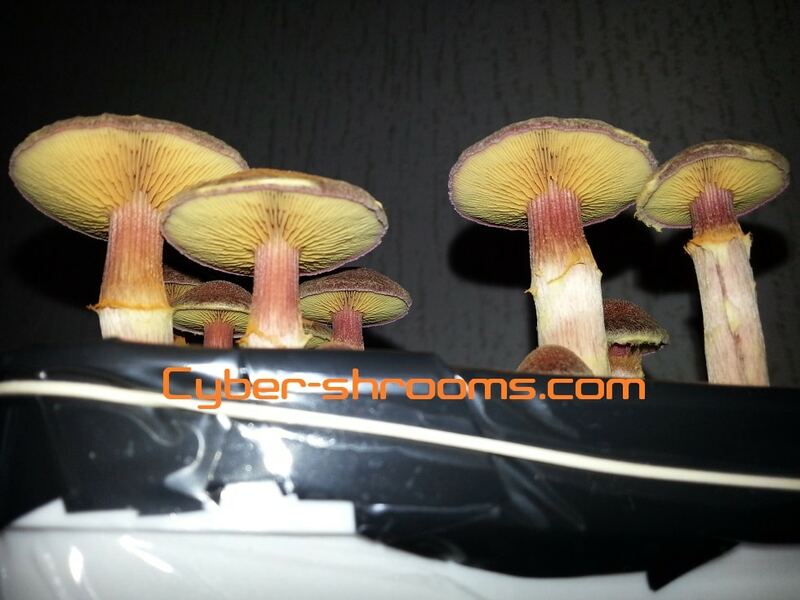 Cultiva tu propio Gymnopilus luteofolius fácilmente sin esporas. Cultivación de hongos mágico sin procedimientos estériles complicados. Envío discreto – Opción de envío sigiloso.